Find inner balance and peace with your beautiful self in Music Zen. 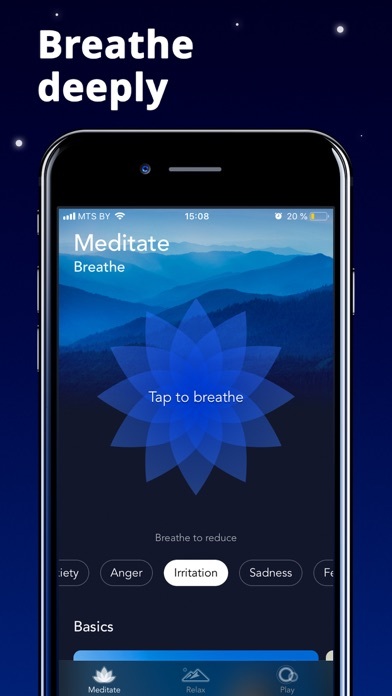 Reduce daily stress, insomnia and anxiety with the help of professionally designed breathing exercises, guided meditations, relaxing sounds, visual scenes and mini-games. Just one tap and you’ll feel relief and inner lightness. Music Zen is divided into three categories that care of your well being and provide you wide spectrum of practices for relaxation - from helping you amplify and strengthen your mental focus to reviving your emotions and life perception. 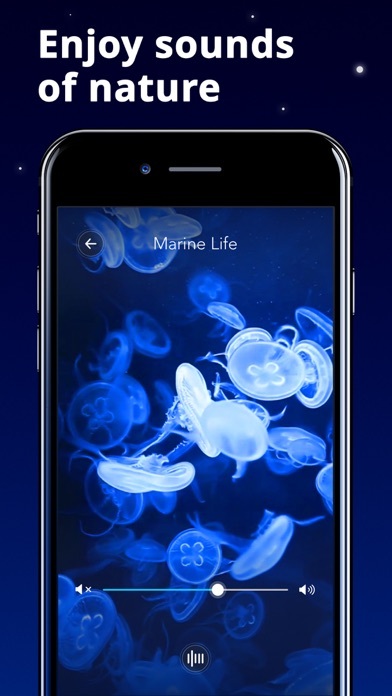 This app will guide you on a path of calmness, mindfulness, and meditation via calming sounds, pacifying visuals and relaxing game. - RELAXING GAMES - Music Lights and Calming Water - provide short but effective rest. They are simple and pleasant. You get rid of stress and anxiety, become more focused, create calming music with interesting instruments (such as Music Box and Koto) and have fun! - CALMING SCENES of high quality are recorded and enhanced to detach stress and anxiety and create a peaceful environment. Beautiful images will distract from the daily hustle and mentally move to calm, beautiful places, filled with soothing nature sounds. - GUIDED MEDITATIONS - dedicate time to being alone with yourself - meditate. Our themed daily meditation practices are recorded by real professionals and will help you relax and put you in the right mindset. No time for meditation? Emergency need for relief? Then try our extra special feature - BREATHING EXERCISE. You’ll get immediate relief and the sense of inner balance. Control your exercise via neatly made widget and timer. This premium feature is totally for free. Each meditation, breathing practice and scene session has its topic and goals. Meditate, breathe and play - it’s that simple but it works! - 3 months at 39.99$. 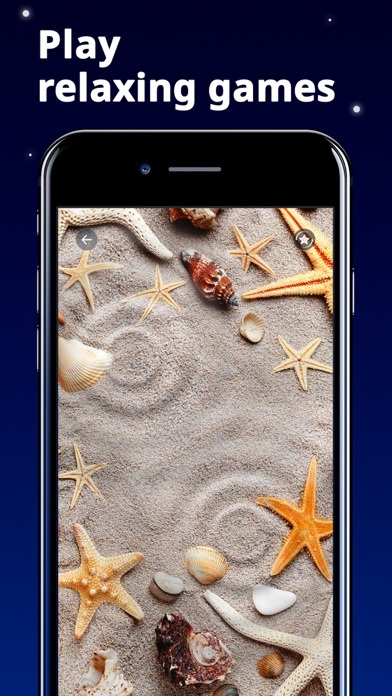 - Enjoy new relaxing backgrounds and music in Calming Water mini-game! The Developer Gismart Limited also wrote the apps listed below, click the icon to visit the pages. - Weekly with a 7-day free trial at $7.99; monthly at $19.99; 12 months at $39.99*; lifetime access at $49.99*. Meet the most accurate mobile metronome app! It is precisely crafted by professional musicians and lets you experience a real metronome as close as it gets! Not only does Metronome make it easier to keep the tempo and rhythm, it also helps you practice and learn while using it. Designed for users with different skills, Metronome games offer you to accomplish challenges to pass to a more complicated level! That makes learning process involving and gradual. BIRD BEAT game helps memorize rhythm better, play rhythm pattern accurately, retrieve rhythm from your memory more rapidly. NOTES VALUE game helps get familiar with notes and their types, memorize notes value, understand melody rhythm better. RHYTHM TIME game helps study time signatures, operate notes value faster, memorize music notation. Metronome app will improve your rhythm skills and increase finger flexibility. You will read music sheets faster and understand music better! - Classic analog metronome click tracker. - Visual flash and vibration — see and feel the beats! - Tempo ranges from 10 to 250 bpm beats per minute (timer). - Weekly with a 3-day free trial at $6.99; weekly with a 7-day free trial at $6.99; weekly at $6.99; monthly with a 7-day free trial at $12.99; yearly at $ 16.99; lifetime access at $49.99*. *Prices can be different in different countries according to what “Apple’s App Store Matrix” determines as the equivalent of the subscription price in $USD." Xylophone is the application that comes with 5 percussive musical instruments including: Xylophone, Toy Xylophone for Kids, Glockenspiel, Vibraphone and Marimba. 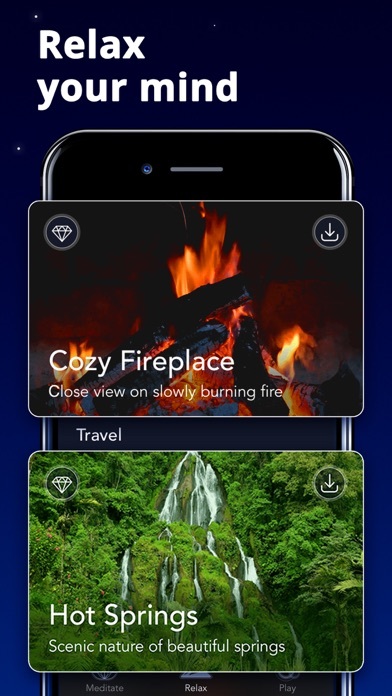 This is an exciting app developed for everyone. Musicians will find many types of percussion music instruments while kids will have fun playing with it. - Create your own melody! A musical instrument in the percussion family that consists of wooden bars struck by mallets. A glockenspiel is a percussion instrument composed of a set of tuned keys arranged in the fashion of the keyboard of a piano. However, the xylophone's bars are made of wood, while the glockenspiel's bars are metal plates or tubes. A musical instrument in the percussion family that consists of a set of wooden bars with resonators. The bars are struck with mallets to produce musical tones. This instrument is a type of xylophone, but with broader and lower tonal range and resonators. A musical instrument in the struck idiophone subfamily of the percussion family. The vibraphone is similar in appearance to the xylophone, marimba and glockenspiel. Good sound and low latency will turn your device into the Real Musical Instrument. - Account will be charged for renewal within 24-hours prior to the end of - Payment will be charged to iTunes Account at confirmation of purchase. - Weekly with a 7-day trial and $7.99 / week; monthly with a 7-day free trial at $19.99 / month; yearly with a 7-day free trial at $49.99 / year.